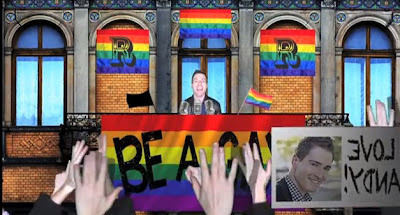 YouTuber Randy Rainbow presents the history of the word 'gay' in two minutes in his new video. Sung to the tune of 'Be Our Guest' from Disney's 'Beauty and the Beast', Randy chronicles the evolution of the word from its original connotation to a synonym for homosexuality. Watch the evolution of that pesky three-letter word after the jump.